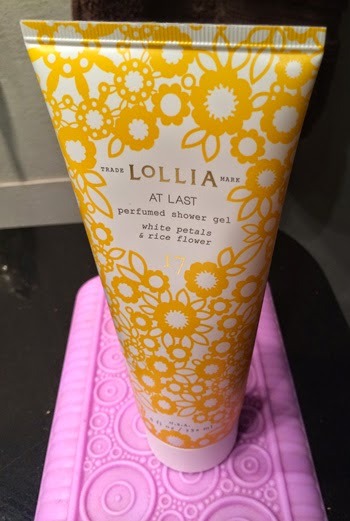 THE SKINNY: Lollia At Last Perfumed Shower Gel had a bright fragrance ... or was I just imagining that because of the yellow bottle? Either way, this shower gel smelled really nice. Summery and light, but without a lingering smell on your skin; so go ahead and wear that perfume. It had a great bubbly lather and felt super silky -- probably in part because of the shea butter and jojoba oil formula. It was nice, but a little pricey for everyday use. KEEP OR TOSS: Keep, but I won't buy this one.